Communication is key whether you’re playing duos or with a squad in Fortnite: Battle Royale. With dozens of other players vying to win the match, making smart callouts on enemy positions or efficiently communicating your strategy can definitely give you an advantage. 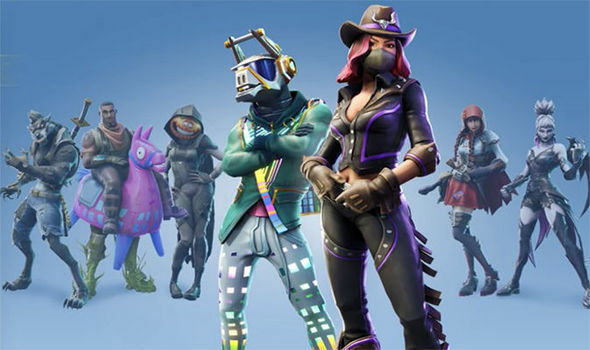 With virtually every single current-generation of consoles now supporting cross-platform play on Fortnite, you can now band together with your friends and chat cross-platform. Here’s how to chat cross-platform and talk cross-platform with players on PC, PS4, Xbox One, and mobile. Epic Games has made an outstanding job in making Fornite cross-platform chat as seamless as possible. The game automatically allows you to chat with anyone you’re grouped with regardless of platform, even those on mobile. Of course, like every other game, you need to be in the group to engage in a conversation with anyone. If for some reason you’re unable to talk or hear from anyone in your party, simply bring up the options menu by clicking the gear icon. From here, head to the audio section. Afterward, make sure that you turn on the voice chat setting. Turning off the voice chat setting will prevent you from hearing and talking to any of your teammates. You can toggle the voice chat setting from inside the lobby or during a match. On mobile, you can toggle the push to talk setting if you would like to easily turn on or off the chat setting at a press of a button while in-game. It’s worth considering that cross-platform chat is solely limited to people you’re grouped with. Once you’re out of the group, there’s no way to talk cross-platform with them through the in-game voice chat. So, that’s basically how to chat cross-platform with your buddies in Fortnite. You can also check our Fortnite Season 6 Wiki if you’re looking for a few tips and tricks to up your game.